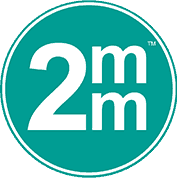 2 Minute Medicine is now available from Hardin Library for the Health Sciences. Go to AccessMedicine, and look under Readings. 2 Minute Medicine® provides concise, curated, and authoritative medical reports of breaking medical literature as well as seminal studies in medicine. Practicing healthcare professionals write these reports. Topics include chronic disease, emergency, imaging and intervention, oncology, preclinical studies, and public health.